Prince, dead at 57, was one of pop music's greatest champions of women. 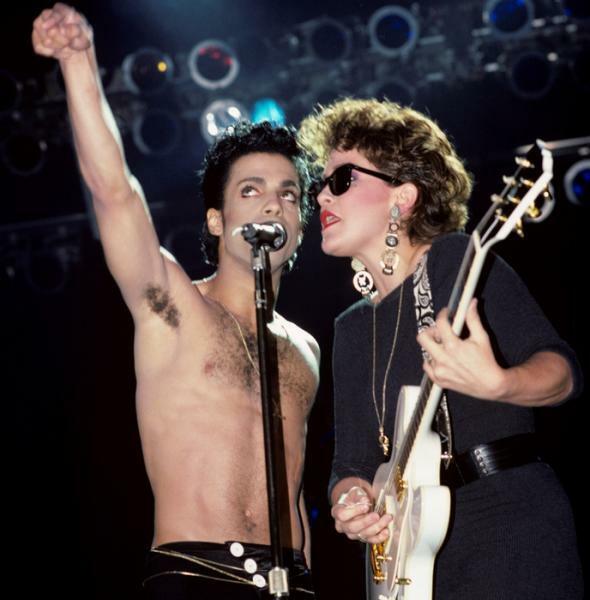 Prince and Wendy Melvoin perform live onstage in San Francisco on May 23, 1986. Prince wasn’t just one of the 20th century’s great artists, who left behind an unrivaled discography of hundreds and hundreds of monumental classics and bewildering oddities. He was also one of music’s great champions of women, who were indispensable to him onstage and in the studio. Some of them co-wrote his biggest hits; others had the biggest hits of their own careers with songs he wrote or produced or both. 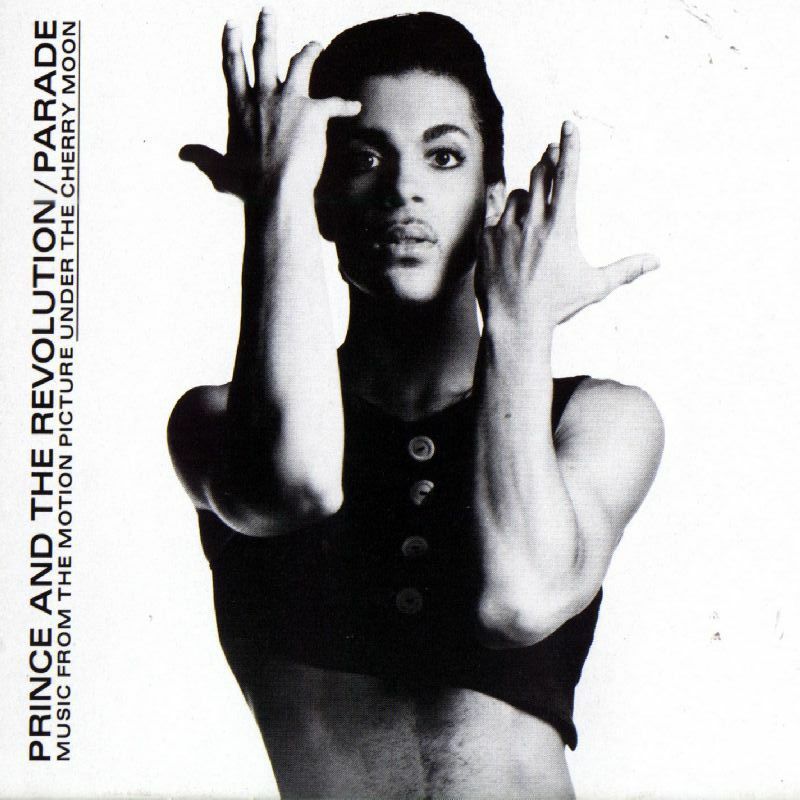 Part post-gender Svengali, part macho pig in a teddy and lipstick, Prince was talented enough to work as a one-man band, and often did. Real and complicated magic came, though, when he collaborated with women. When Coleman’s girlfriend Wendy Melvoin joined the band in 1983 as preparations began for Purple Rain, the artists known as Wendy & Lisa joined him in the spotlight. Wendy came up with the iconic opening chords of the title track; the pair wrote the album’s beguiling “Computer Blue” with Prince’s father. They damn near stole the movie out from underneath the Purple One, sweating bullets to make the concert sequences the best rock show ever captured on film and reading him to filth in the campy backstage scenes, all while he simultaneously denied and relied upon their musical contributions. (In a must-read interview in Out from 2009, Wendy and Lisa talk candidly about their role in Prince’s success and his radical concepts of gender.) They joined Prince onstage (“This is Lisa… and this is Wendy”) when he accepted the Academy Award for original song score for Purple Rain in 1985. Meanwhile, Prince snatched up Sheila E., one of the great percussionists of her generation; he helped her put a band together for a debut record, the hit The Glamorous Life, and gave her an opening gig on his blockbuster Purple Rain tour. The two were briefly a couple (in her 2014 memoir, she says of the relationship, “I was dating a vampire,” and other not-great things). But Sheila E. was far more than the other pretty faces he tarted up, gifted a song or two to, and then promptly abandoned. (More on them in a minute.) They collaborated on a second album for her, 1986’s underrated Romance 1600. Crucially, she anchored the constantly shifting lineup of his post-Revolution period, helping him through assembling the messy masterpiece Sign “O” the Times and serving as musical director for his marathon Sign and Lovesexy tours. If Sheila E. was his rock behind the drum kit, Susan Rogers was his studio support. One of the few female engineers in the industry, Rogers was generally the only person Prince allowed in the room as he recorded and re-recorded and re-re-recorded his tracks. Alan Light’s 2014 Let’s Go Crazy persuasively makes the case that, without Susan’s technical wizardry, keen eye, and boundless patience, it’s possible Prince might never have finished a song in the 1980s. Beyond acting like a pop Svengali, though, Prince worked with an astounding range of female stars, all while releasing his own, unrivaled string of triumphs in the 1980s and ’90s. He provided both inspiration and instrumentation for Stevie Nicks’ ferocious “Stand Back.” He wrote the Bangles’ second-best song, “Manic Monday.” He offered Sheena Easton “Sugar Walls,” a track that not only shored up her star status in America but also, along with his own masturbation anthem “Darling Nikki”, launched Tipper Gore’s career as a culture scold. Chaka Kahn covered his “I Feel for You” with legendary results. He and Madonna co-wrote and dueted on the stiff “Love Song” from her Like a Prayer album. Sinead O’Connor repurposed “Nothing Compares 2 U,” a track originally performed to little notice by Prince’s protégés The Family, into the 1990s’ great anthem of heartbreak and grief. He took a prayer written by Martika, a former star of Kids Incorporated and later sample source for one of Eminem’s biggest hits, and turned it into the godlike “Love…Thy Will Be Done.” And for 1993’s “Why Should I Love You,” he became one of the very few stars to collaborate with Kate Bush—who was, along with Bowie, perhaps Prince’s only true peer when it came to the ability to summon technical wizardry, aesthetic prophesy, and sheer charisma for the honorable purpose of a pop song. To be sure, Prince often used women as eye candy. 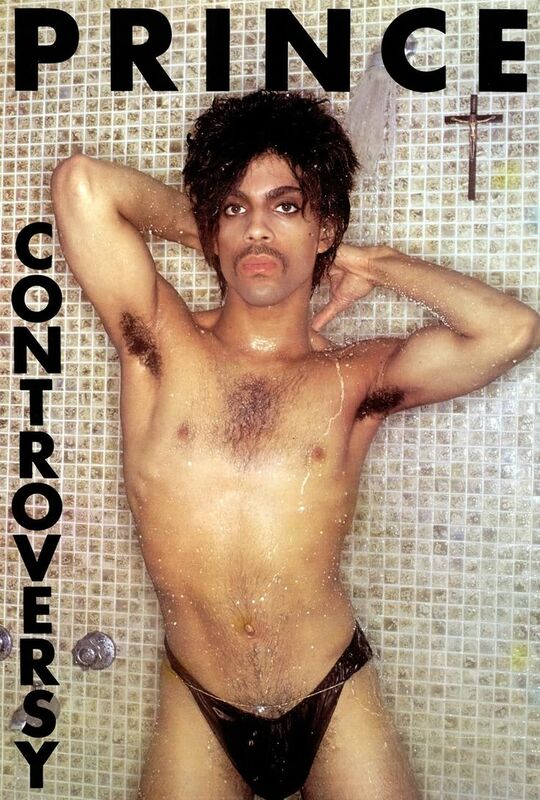 (As the bathing-beauty poster included with Controversy or the strip-tease cover of Parade attest, though, he never asked them to do a pose he wouldn’t do himself.) But as one of the biggest stars in the world for almost 40 years, Prince went out of his way to shine a spotlight on the women he gathered around him, from Lisa Coleman on the early records to the countless women he brought on tour to open for him to the all-female power trio 3rdeyegirl, who backed him on his final albums. He forced his fans to face the truth that the best drummer in the world could be a Latina in heels, the best guitarist (apart from his own multi-gendered self) a lesbian in ruffles and sneers. Prince promised a world where men and women looked and acted like each other, and also like nobody else, and if you didn’t come to party, don’t bother knocking on the door. It still feels like a revolution.